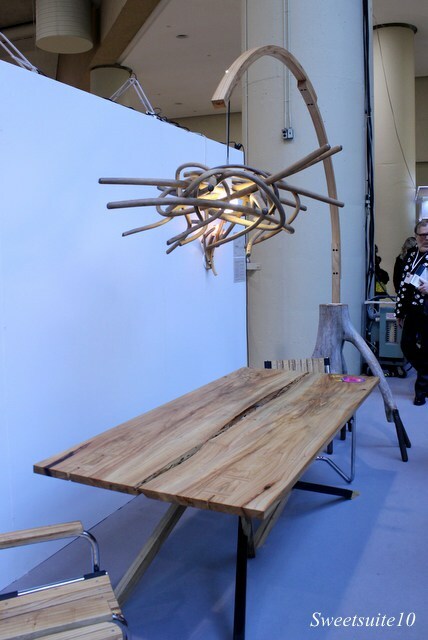 Studio North, the 'show within a show', was held at the Interior Design Show for the 10th year. 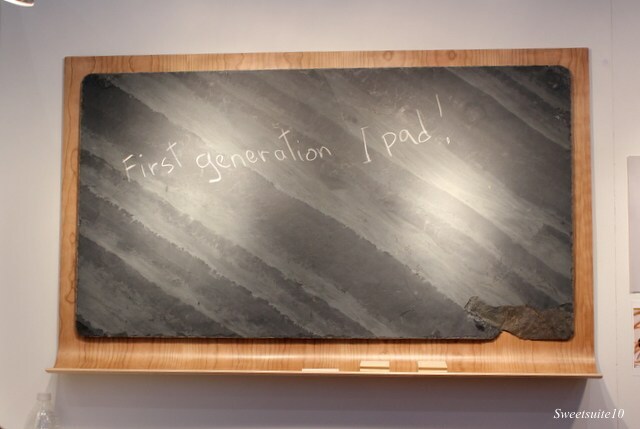 The premise behind the show is to introduce the public to great Canadian design talent. I was incredibly impressed with the range of items these talented designers showcased - below is just a sampling of what I saw. 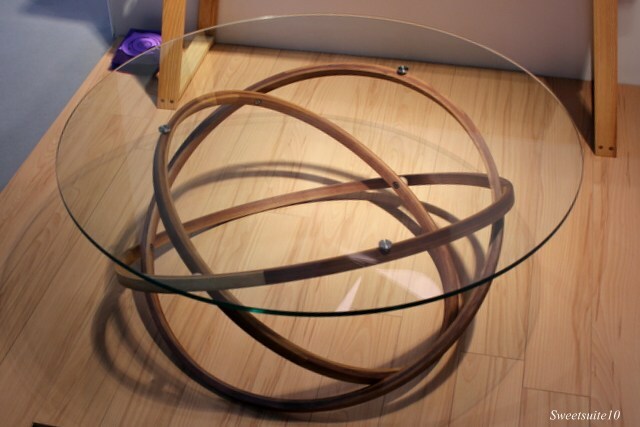 Jeremy Kehoe is a furniture designer and woodworker from Toronto who uses as much sustainable and domestic woods as he can. 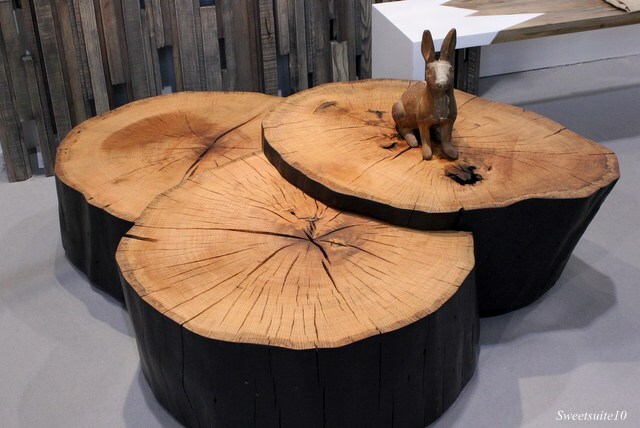 This Orbit table from Nomo Creations received quite a bit of press during the show. The father and son team us materials that can be separated for recycling, and their products are designed to be able to shrink so they can be shipped in smaller packages. Twin brothers Jason and Lars Dressler are woodworkers from Toronto. Most of the wood seen in the dining room below was created using the wood from one tree that died in 2010. 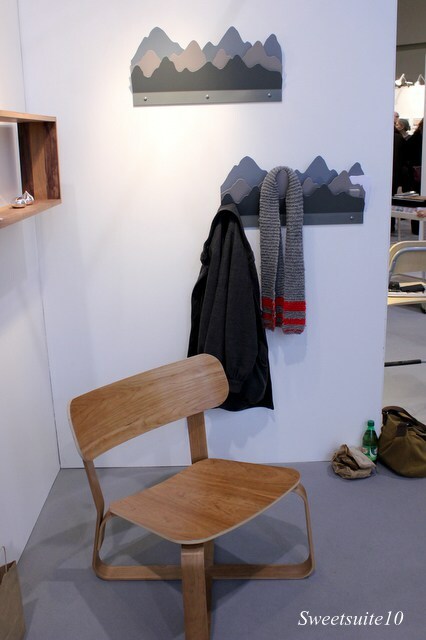 I love the lines of Tyler MacKenzie's Radius Lounge chair, and Bettie Cott's Peaks and Valleys coatrack is whimsical and practical - I can easily imagine it in a child's room. 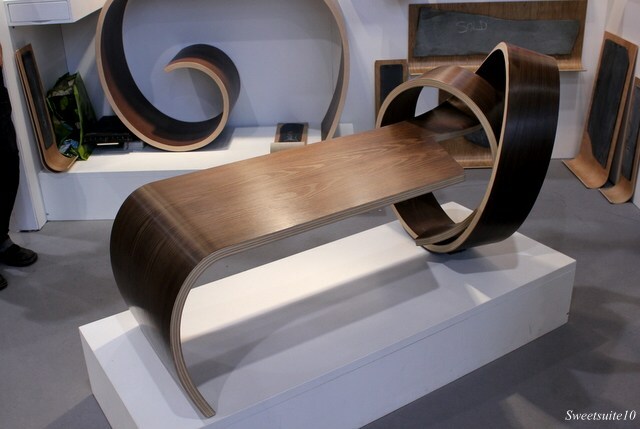 Kino Guérin's pieces are made from bent wood, and are stunning in person. That's the last of my pictures from IDS12 - I hope I managed to show you some of the great things there were to see at the show, and maybe encouraged you to make a visit to the show next year - I know I'll be going - I can't wait to see what is new then. I'd Like to Thank the Academy . .